Asheville, NC (Feb. 9, 2018) — Passport, the industry leader in parking enforcement software, has launched its citation management platform for the City of Asheville. 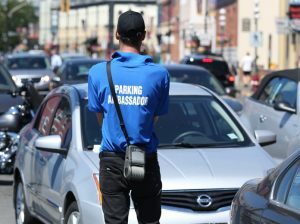 The city, that expects to issue up to 20,000 citations this year, is upgrading its system to run congruent with its mobile pay platform, provided through PassportParking® since 2012. The new system will streamline the city’s citation management process providing more accuracy and convenience, integrating both the mobile pay and citation management systems together on the same platform.